The University of Nebraska Medical Center is accredited by the Higher Learning Commission, a commission of the North Central Association of Colleges and Schools, 30 North La Salle Street, Suite 2400, Chicago, Illinois 60602-2504. The bachelor's, master's, and doctor of nursing practice degree programs at the University of Nebraska Medical Center College of Nursing are accredited by the Commission on Collegiate Nursing Education, 655 K Street, NW, Suite 750, Washington, DC 20001, (202) 887-6791 . The bachelor's degree program is also approved by the Nebraska State Board of Nursing, P.O. Box 95044, Lincoln, NE 68509-5044. The Mission of the College of Nursing is to improve the health of Nebraska through premier nursing education programs, innovative research, the highest quality patient care, and service to underserved populations. embrace diversity and inclusivity as essential to excellence. to be cost-effective and accountable. The nursing metaparadigm (human being, health, environment and nursing) guides students and faculty in teaching and learning at all levels of nursing education at the College of Nursing. Human beings are holistic individuals with physiologic, psychosocial (cognitive/mental, emotional, behavioral, social), developmental, and spiritual dimensions. All human beings have inherent worth, have the right to be treated with dignity and respect, and are embedded in a milieu that includes culture and society. Health is a dynamic state of well-being in each dimension of the human being, and extends to families and communities. Well-being is demonstrated by functioning which is effective in achieving life course goals to the satisfaction of the individual, family, or community. Health is affected by complex interrelationships of factors (health determinants) such as the social and economic environment, individual characteristics, and behavior. The environment is the milieu within which human beings exist and nurses provide care. The external environment includes systems of health care, culture, family and community, and the physical environment in which people live. The internal environment is expressed through the multiple dimensions of the human being. Internal and external environments influence well-being across the life course of individuals, families, groups, and communities. Nursing is a practice discipline and a caring profession. Nurses use best scientific evidence, provider expertise, and patient values to provide safe, high quality, effective, efficient, timely, equitable, and patient-centered care.1 Nurses provide care through primary, secondary, and tertiary prevention to individuals, families and communities that addresses the multiple dimensions of the human being with the goal of improving well-being. Nurses promote health using knowledge, critical reasoning, clinical judgment, skills, experience, and leadership. Nurses have a responsibility for ethical awareness in the social, political, legal, ecological and economic arenas and serve as advocates for patient health. IOM (Institute of Medicine). 2011. The Future of Nursing: Leading Change, Advancing Health. Washington, DC: The National Academies Press. Our five campuses throughout Nebraska – West Nebraska Division, Kearney Division, Northern Division, Lincoln Division and Omaha Division - serve students and communities as we carry out our mission to transform lives through education, research and nursing practice. The University of Nebraska Medical Center's main division is in Omaha, located at 42nd Street and Dewey Avenue. Student enrollment includes more than 3,000 students. Nearly 10,000 students, employees, staff and faculty are located in the area of 10 square blocks that make up the Nebraska Medical Center campus. This area includes classrooms, labs, outpatient care, the Lied Transplant Center, Munroe-Meyer Institute and other university facilities. Two hospital towers – University Tower and Clarkson Tower– also are located on campus. They are operated by our clinical partner, The Nebraska Medical Center. The Kearney division of the UNMC College of Nursing is located on the University of Nebraska-Kearney campus. UNK also offers bachelor's degrees and pre-professional programs for preparation for further studies at UNMC. The Lincoln division of the UNMC College of Nursing is affiliated with the University of Nebraska - Lincoln and is located downtown in the Commerce Court building. UNL offers a pre-nursing program for students interested in pursuing a Bachelor of Science in Nursing Degree at UNMC. The Lincoln CON division also prepares post-baccalaureate students for graduate studies in nursing. The Northern division of the UNMC College of Nursing is located on the Northeast Community College campus. The J. Paul and Eleanor McIntosh College of Nursing opened in August 2010 and offers a Bachelor of Science in Nursing Degree and graduate nursing programs. The West Nebraska division is located at the Western Nebraska Community College (WNCC) John N Harms Advanced Technology Center (classroom, clinic skills laboratories and staff). Faculty offices, assessment lab and patient simulation suite are located at Regional West Medical Center (RWMC). The division was opened in the fall of 1987 to prepare nurses for a Bachelor of Science in Nursing Degree and a Master of Science in Nursing Degree. The College of Nursing division supported by host campuses of the University or one of our partner institutions may have some additional or alternate fees for the same services as the University of Nebraska Medical Center campus students. You may refer to the host's bulletin. The Scottsbluff division has no host campus and therefore some of the services are contracted through outside agencies and the fees will differ slightly. The University of Nebraska Medical Center College of Nursing has a long and colorful history. From the first class, which started in 1917, to the present day, College of Nursing alumni have been in the forefront of the evolution of the profession of nursing in Nebraska and in the nation and internationally. This section provides a glimpse of the proud heritage of the College of Nursing. In October 1917, the first 13 women enrolled in the "University of Nebraska School for Nurses" under Director Charlotte Burgess. Dr. Burgess started the program and directed the evolution of the program from 1917-1946. The program offered was innovative and forward thinking, combining a liberal arts education with nursing curriculum leading to a bachelor's degree. At that time most nursing schools were based in hospitals and offered a diploma after three years of study. The "University of Nebraska School for Nurses" offered both a three-year diploma program and a five-year baccalaureate degree program. Students lived in a variety of residential structures around the hospital and received their clinical learning at University Hospital which opened in 1918. The nursing program endured through the Great Depression and was called upon to join the war effort in the early 1940s with participation of many students in the U.S. Nurse Cadet Corps. In April, 1946, the second director of the University of Nebraska School of Nursing, Irma Kyle Kramer, R.N., S.M. assumed the leadership of the school. Under Kramer's leadership, the School of Nursing forged new paths toward offering the 4 year baccalaureate degree (1950), and toward attaining national recognition for the program through accreditation with the National League for Nursing (1965). In 1966, the director of the National League for Nursing, Dr. Rena Boyle, was recruited to serve as director of the School of Nursing. Under Dr. Boyle's leadership, the School of Nursing provided the direction necessary to develop the first graduate nursing program in the state (1968), the Niedfelt Nursing Research Center (1968), the first articulated (ASN-BSN-MSN) ladder program in the nation, the expansion of the nursing program to Lincoln (1972), and the name change from "School of Nursing" to "College of Nursing" (1972) with Dr. Boyle serving as Dean. The Learning Center was as well-used then as it is now. In 1979, Dr. Rosalee C. Yeaworth assumed the leadership of the College of Nursing. Under Dr. Yeaworth, the College expanded to the state borders with the addition of divisions in west Nebraska (1986) and Kearney (1991). The addition of the divisions was made possible through the use of technology (teleconferencing, television downlinking, and videotapes) to provide nursing education for students at a distance. Under her leadership additional master's specialty programs were offered and the doctoral program was initiated (1989). Outreach of the College of Nursing to rural and underserved individuals was increased through the development of two nurse managed centers, the Family Health Care Center, and the Mobile Nursing Center. In 1995, Dr. Ada M. Lindsey became dean of the College of Nursing. Under Dr. Lindsey's leadership, the College of Nursing pioneered new distance learning technology methods (teleconferencing, desktop video conferencing, asynchronous and synchronous Internet courses, etc. ); received major research funding from federal and private foundations; and, attained national recognition for the nursing education programs. Today our baccalaureate, master's, and doctoral program alumni are valued members of health care teams in Nebraska, the U.S., and internationally. In February 2003, Dr. Lindsey was recognized for oncology research with an award from the National Oncology Nursing Society. In 2003, Dr. Virginia Tilden became the dean of the College of Nursing. Under her leadership a fifth division in Norfolk was added in conjunction with and on the campus of Northeast Community College and the Center for Nursing Science was built adjacent to the Omaha College of Nursing building. The Norfolk division admitted its first BSN class Fall of 2010 and the Center of Nursing Science opened in January 2011. In 2011, the University of Nebraska Board of Regents approved the start of a Doctor of Nursing Practice (DNP) program in the College of Nursing. The inaugural DNP cohort was admitted and started the program the Fall of 2011 with the subsequent cohorts starting in May each year. Dr. Juliann G., Sebastian became the College of Nursing's seventh dean in 2011. In 2012, the governor and the Nebraska state legislature appropriated funds for a new Health Sciences Education Building that now houses the College of Nursing Kearney Division and programs from the UNMC College of Allied Health Professions. In 2018, the Lincoln division moved to a new building on the University of Nebraska-Lincoln campus that also houses the UNL Health Center. This partnership, part of the "Building a Healthier Nebraska" initiative, provides top quality nursing education in Lincoln, better serves the health needs of the student population and meets the state's need for nurses. 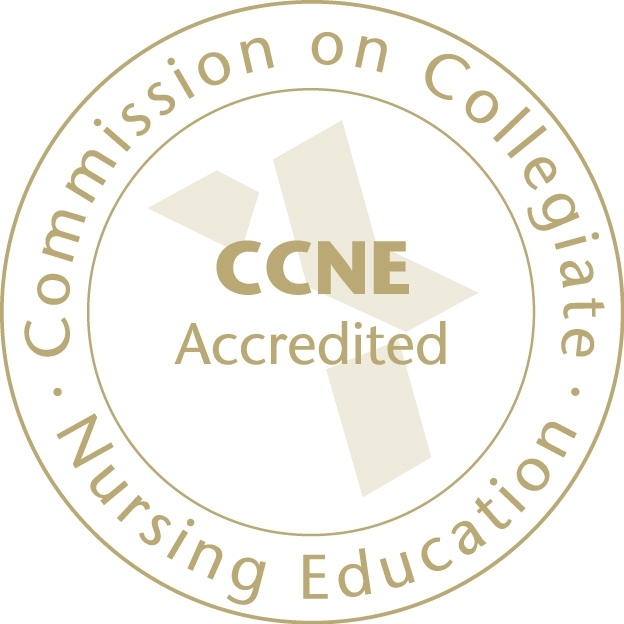 The College of Nursing aspires to be recognized as one of the top schools of nursing in the nation. As college momentum expands in research education and practice, our focus is on integrating these missions to create, test, and teach innovative models for excellent nursing and health care. Today’s College of Nursing is truly a 500-mile-wide campus, with five divisions across the state. The UNMC College of Nursing offers academic programs leading to the bachelor (BSN) and master of science (MSN) degrees in nursing and doctoral programs in nursing leading to the doctor of nursing practice (DNP) and doctor of philosophy (PhD) degree. The baccalaureate program of study is available on all five divisions; these are the Omaha, Lincoln, Kearney, West Nebraska (in Scottsbluff), and Northern (in Norfolk) divisions. The RN to BSN is available online, facilitating access and flexibility for adult learners. The graduate programs (MSN, DNP, and PhD) are available on the Omaha division; however, with the use of distance learning technology, many graduate courses, specialties, and clinical experiences are available at the other divisions and some off-site locations. The College, through the range of academic programs offered, is committed to career advancement of nurses. The baccalaureate degree program prepares graduates for beginning professional nursing practice. The Master of Science degree program prepares advanced practice nurses. Specializations offered include Adult-Gerontology Acute Care Nurse Practitioner, Adult-Gerontology Primary Care Nurse Practitioner, Family Nurse Practitioner, Nurse Leader/Administrator/Executive, Pediatric Nurse Practitioner, Pediatric Primary & Acute Care Nurse Practitioner, Psychiatric Mental Health Nurse Practitioner and Women's Health Nurse Practitioner. Post Master's Certificate programs are available in most of the specialty areas. All students have the opportunity for rural clinical learning experiences. The DNP program prepares nurses at the highest level of clinical nursing leadership to use research to improve care and outcomes through systems change. These students complete their programs with a DNP project. They are prepared to lead clinical improvements and hold clinical or academic positions. The PhD program prepares nurse scientists; students complete the program with a dissertation. They are prepared to contribute to the science base of the field and to hold academic or clinical research positions.